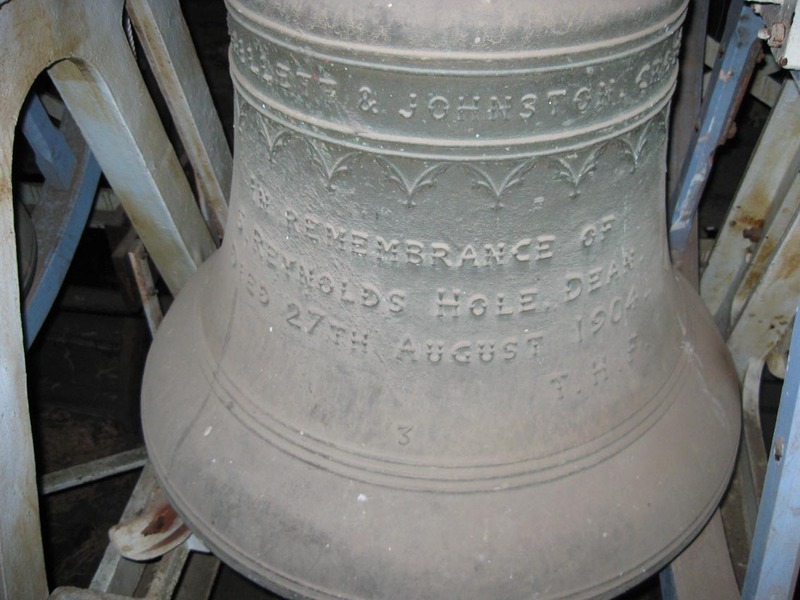 Frame: 1960 John Taylor & Co.
1154 Record of 3 bells being hung in the Gundulf Tower by Prior Reginald, one of them coming from a former cracked bell. 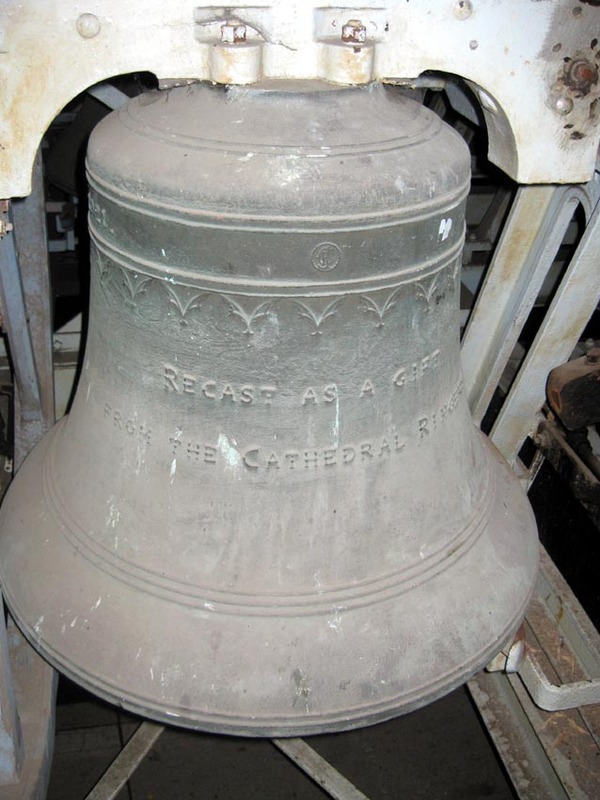 1251 - 74 Record that Richard of Waldedene made a bell called Andrew. 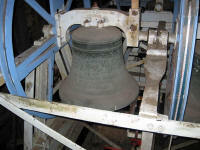 1343 Bishop Hamo de Hythe built up the central tower and hung 4 bells in it. 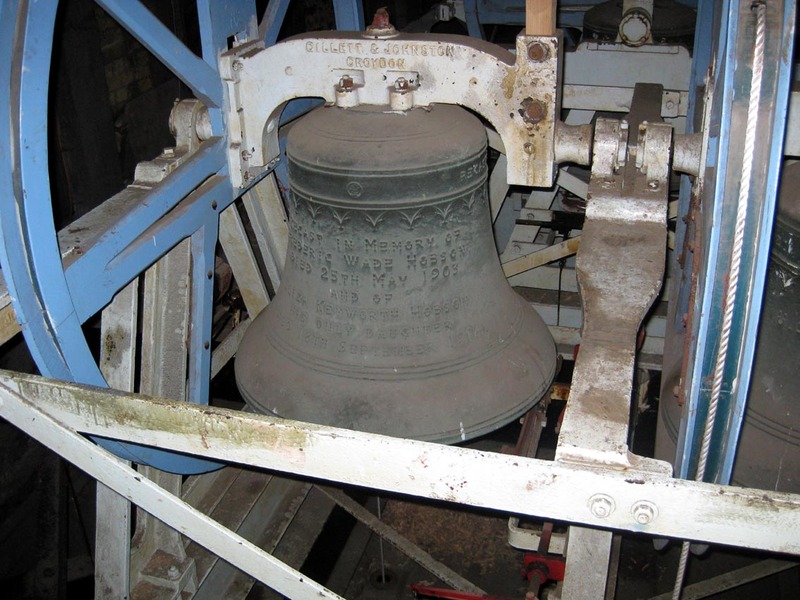 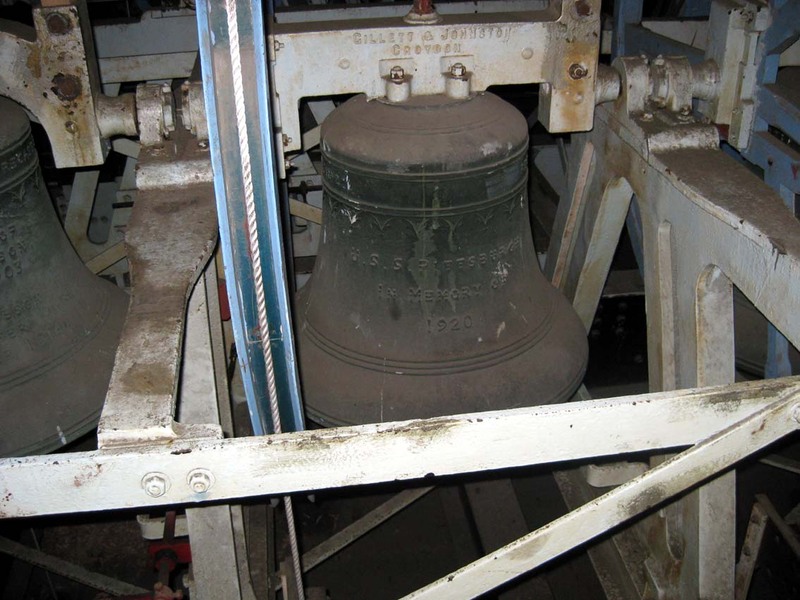 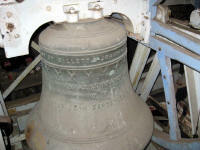 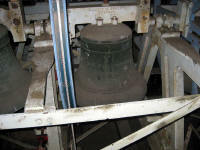 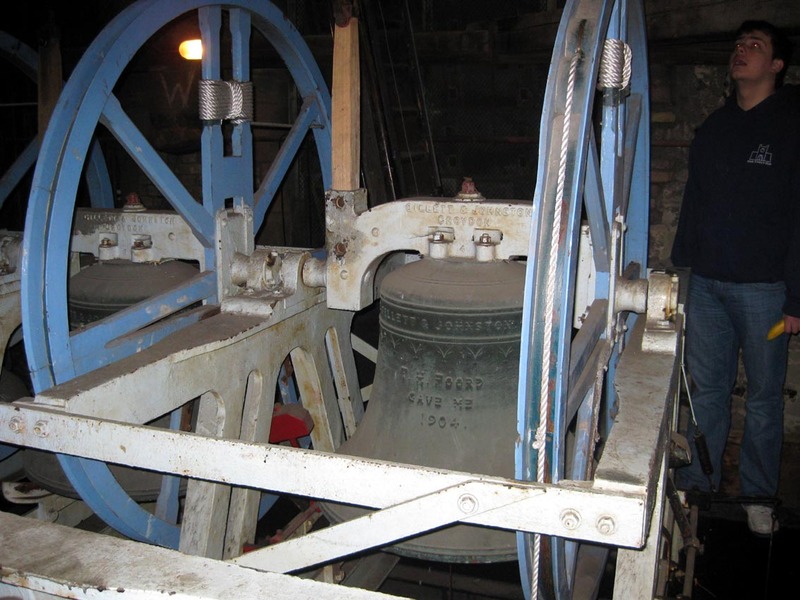 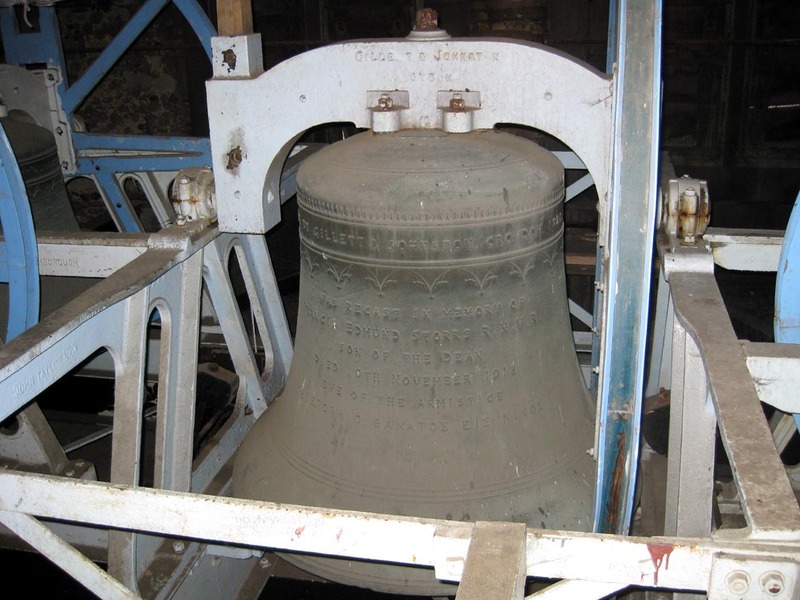 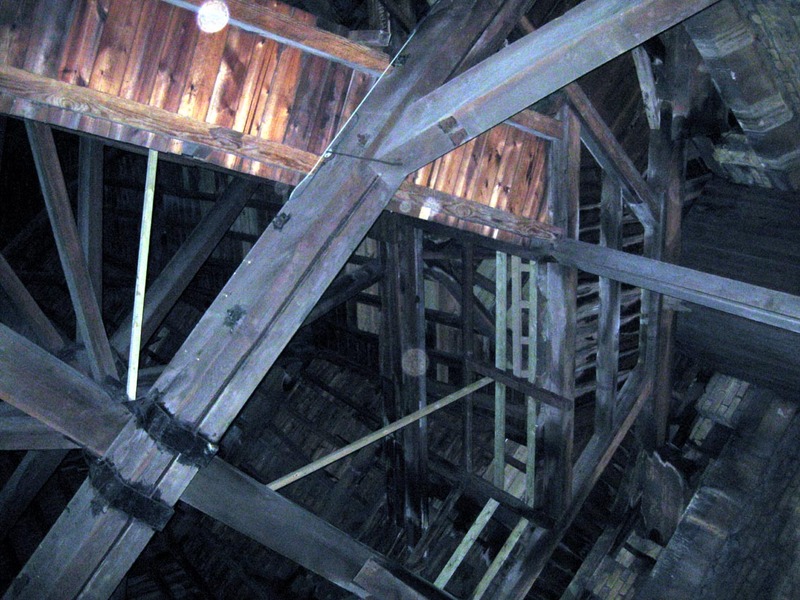 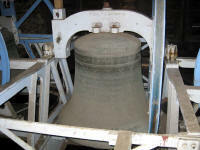 1545 Record of 6 bells in the central tower with the bells in the Gundulf Tower gone. 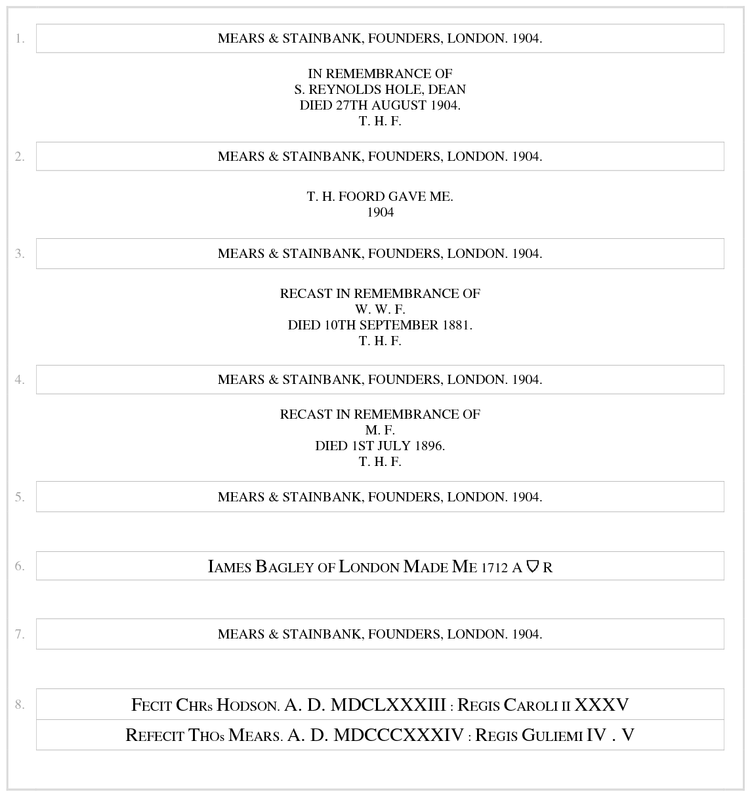 1635 3rd (of 6) recast by John Wilnar. 1695 Treble (of 6) recast by John Wood of Chancery Lane. 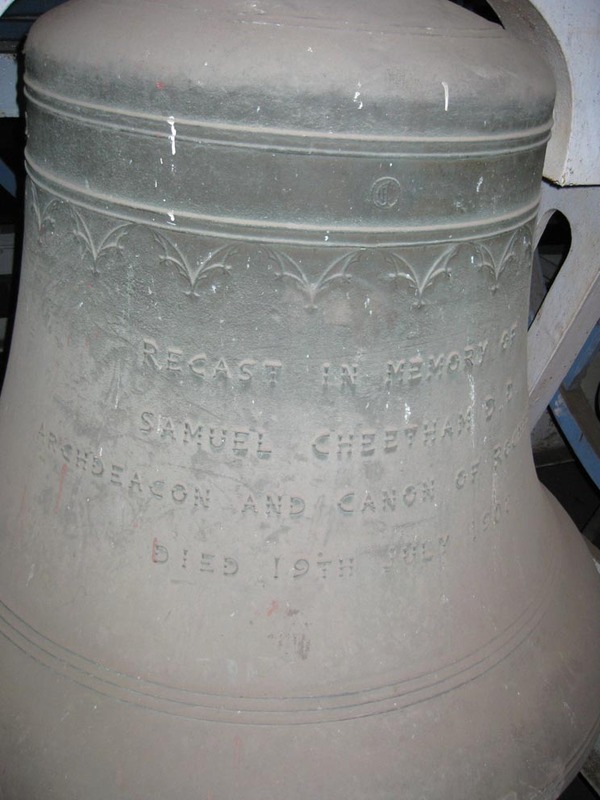 1711 Richard Phelps gave an estimate to recast the 4th (of 6) although he never actually did. 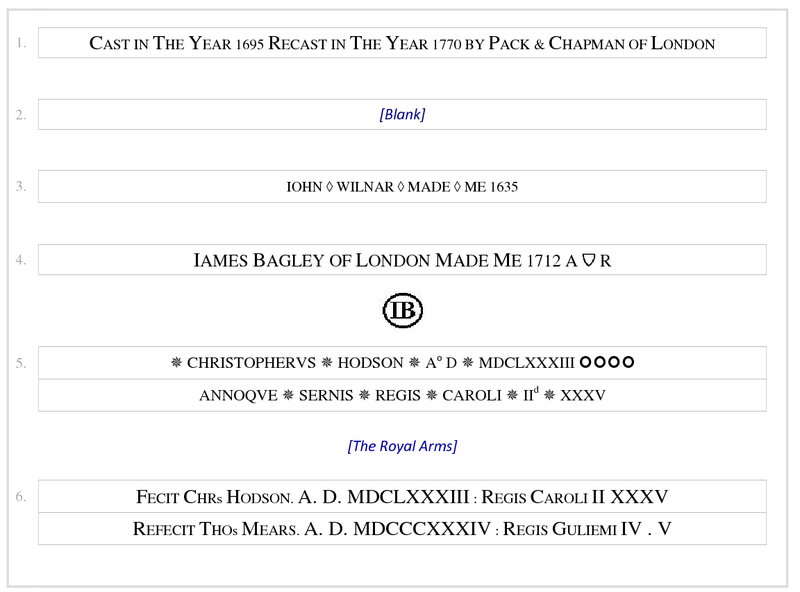 1712 4th (of 6) recast by James Bagley of Cripplegate, who also quarter-turned the 2nd. 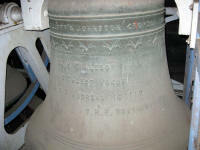 1770 Treble (of 6) recast by Lester & Pack. 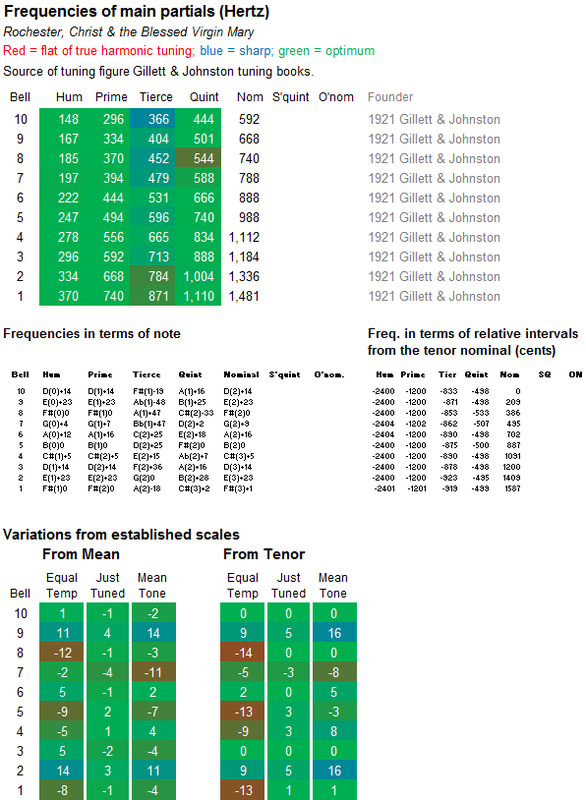 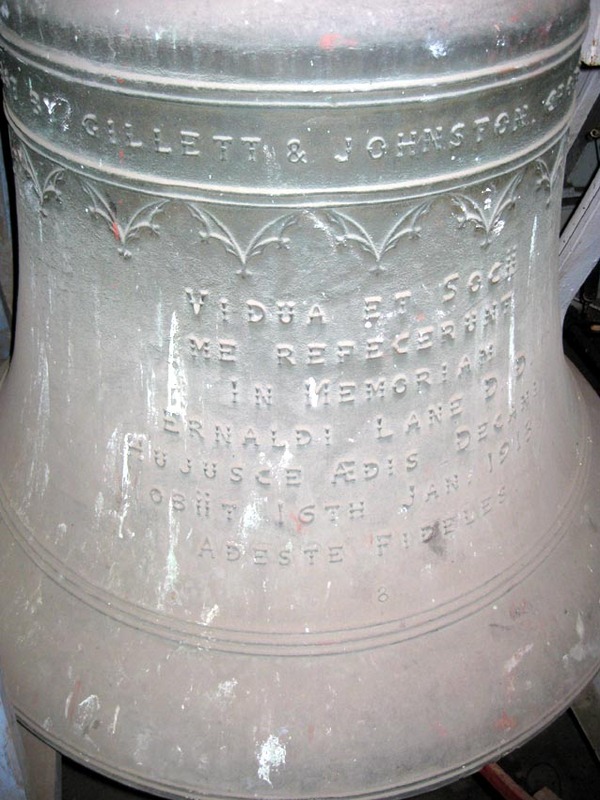 1834 Tenor (of 6) recast by Thomas Mears. 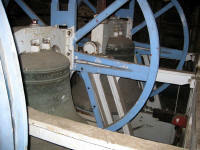 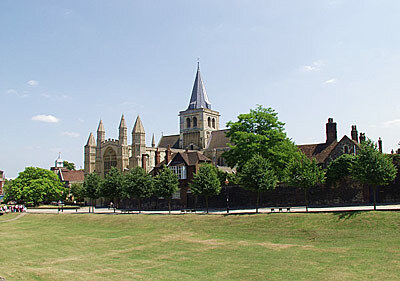 The tower was rebuilt to a pinaccled design by L. N. Cottingham. The 6 bells hung in a frame probably installed at this time but resting upon the much earlier trasswork which still fills the ringing chamber today. 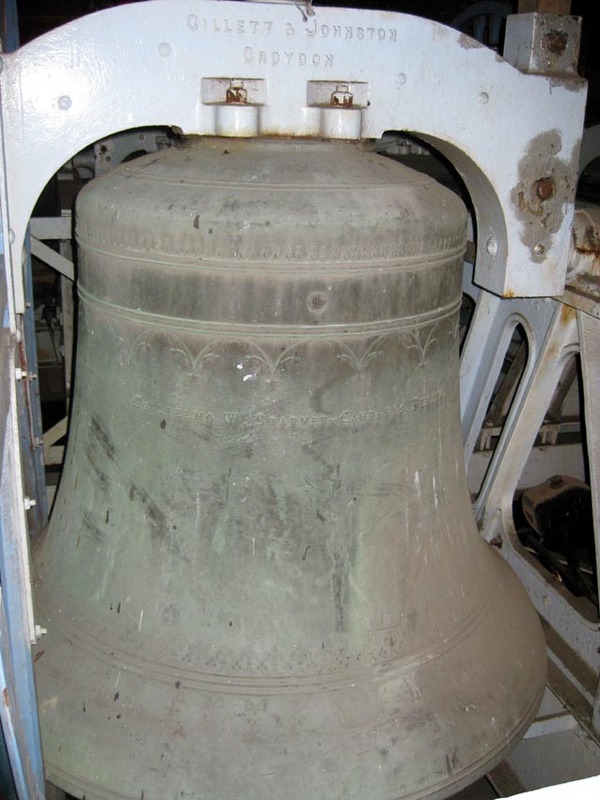 1838 Some bells repaired and rehung by John Stedman. 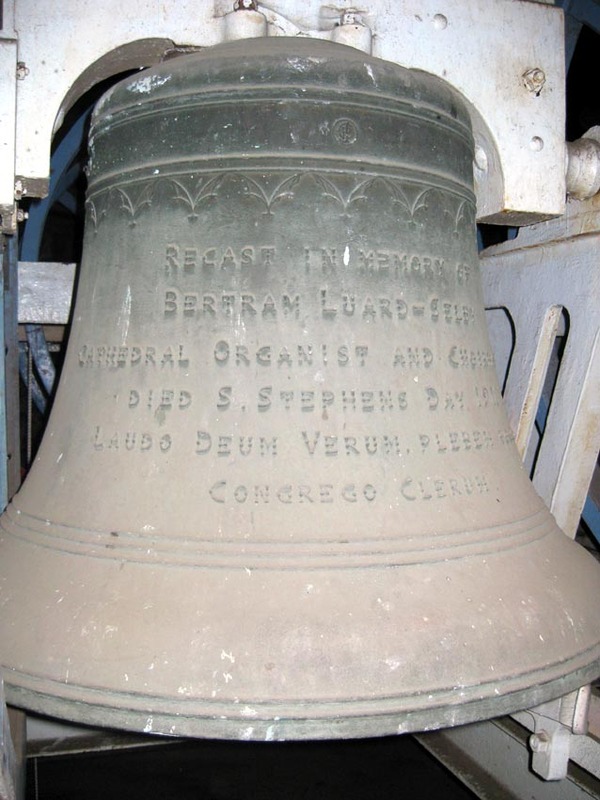 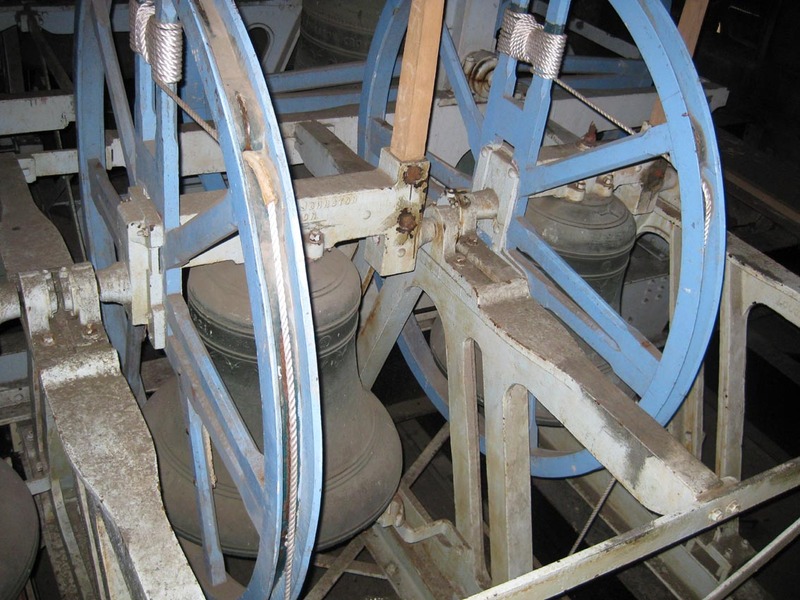 1840 Some bells repaired and rehung by John Stedman. 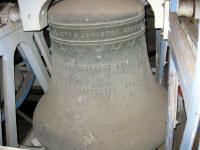 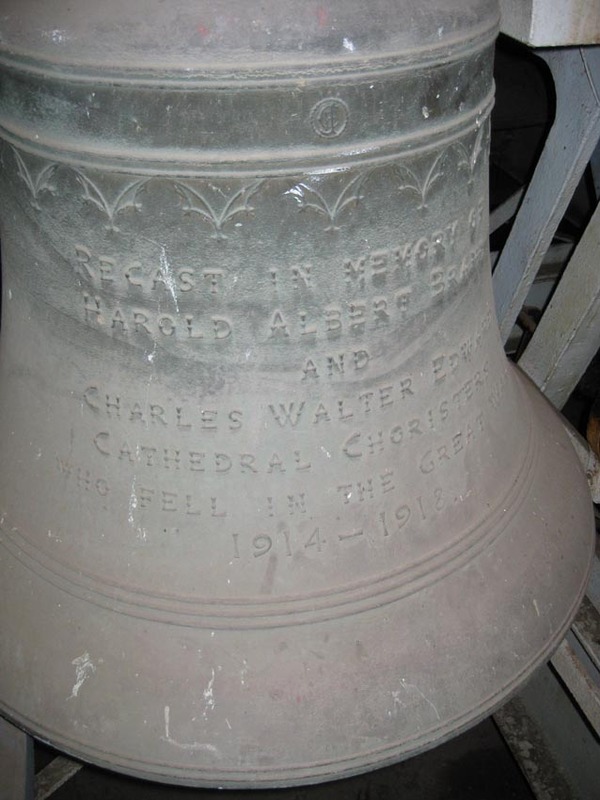 1843 Some bells repaired and rehung by John Stedman. 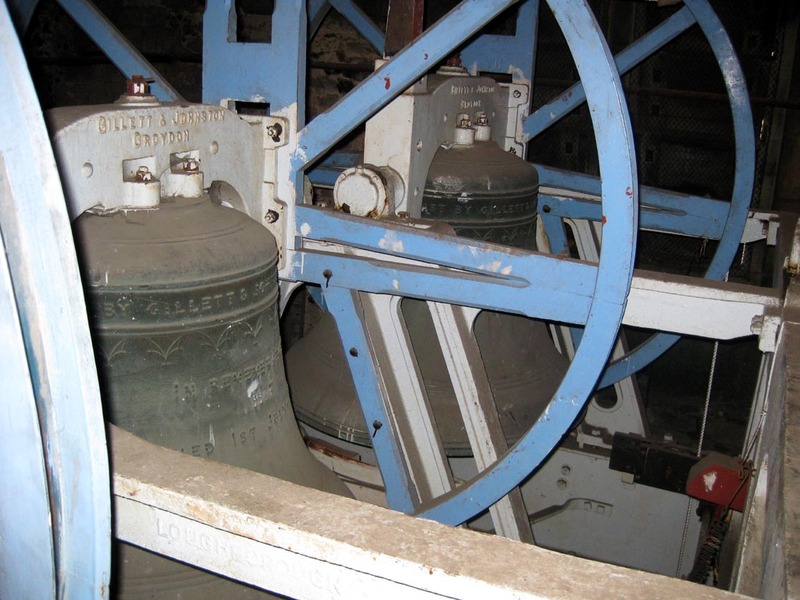 1882 Bells rehung and Ellacombe chiming apparatus restored by H. Stokes of Woodbury. 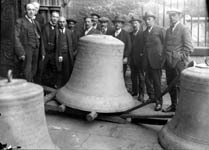 1904 Cottingham's work was demolished and the present bell chamber and spire were built and the lower part of the tower refaced by C Hodgson Fowler. 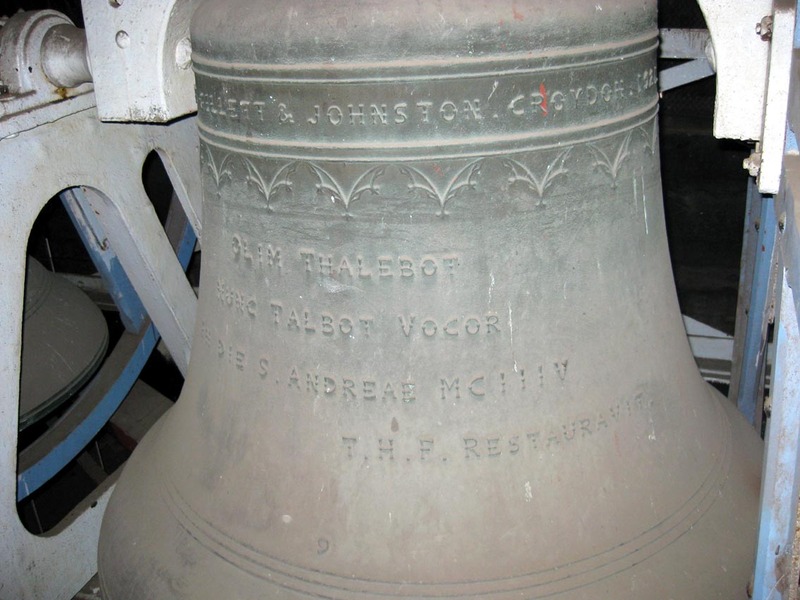 Treble, 2nd, 3rd and 5th of 6 recast and the ring augmented to eight by Mears & Stainbank at the expense of Mr Thomas Hellyar Foord. 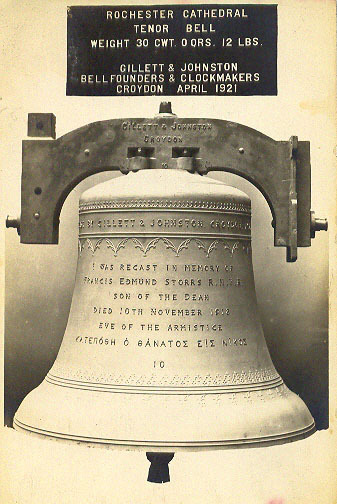 Dedicated 30th November, 1904, by Dr Randall Davidson, Archbishop of Canterbury, and formerly Bishop of Rochester. 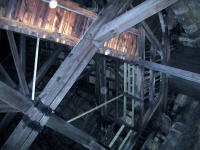 c 1935 The frame was braced by the erection of steel 'buttresses' at each corner. 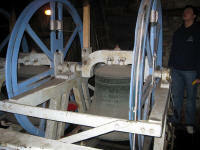 1960 Bells rehung in a new frame by John Taylor. 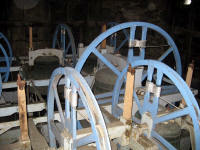 1991 6 of the clappers were refurbished by John Taylor together with a number of pulley wheels. 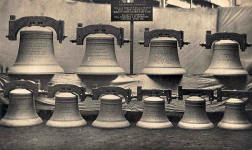 The bells in the Croydon foundry, 1921. 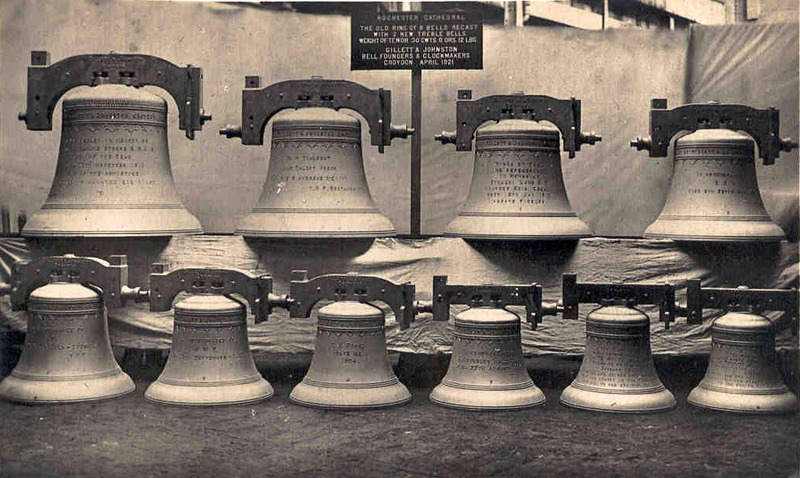 Photo: Gillett & Johnston archive. 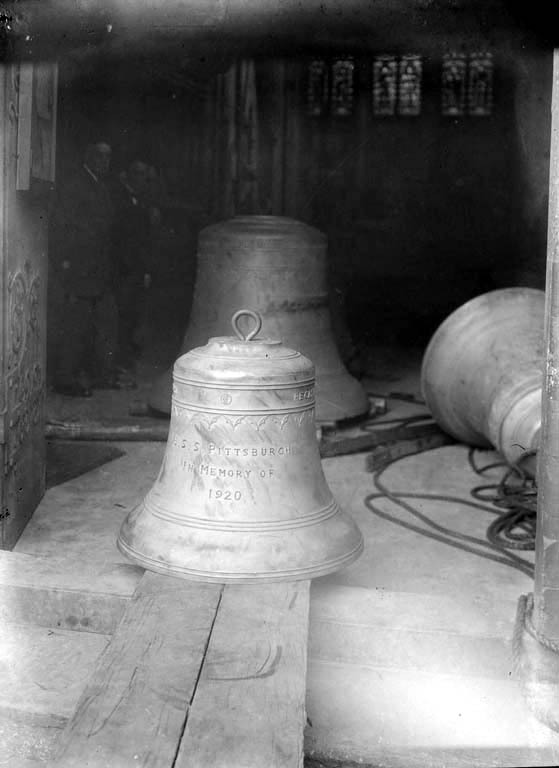 The bells arrive from Croydon, with the 3rd is in the foreground. 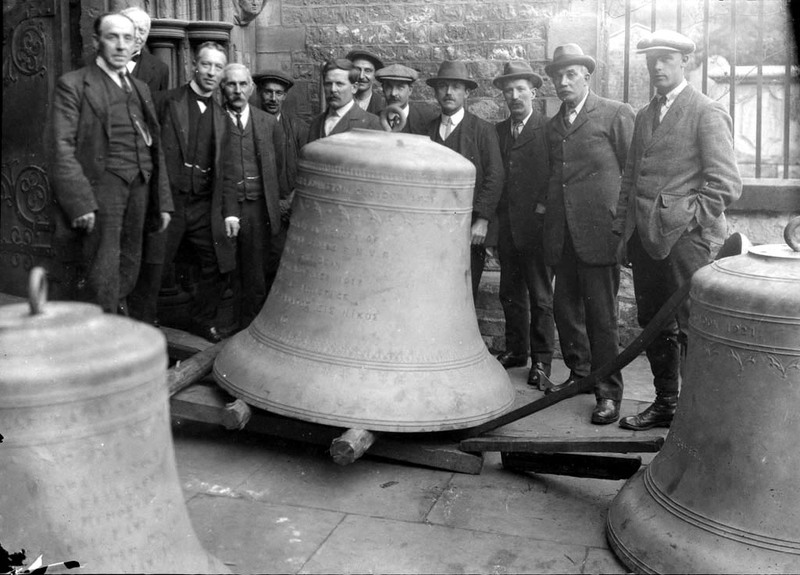 Posing with the tenor bell.